Don’t be a stickler for rules. Playing with kids isn’t the same as playing with adults who know how to face hardship and know this is part of the fun. Kids are still learning that. Don’t be afraid to change things on the fly. Maybe the trap just breaks after a while. Maybe the monsters hear something strange and decide to run (and the characters should probably do the same). When playing with more than one player, make sure to share the focus of the game with all of them equally. If a scene has been dominated by a character, try to make the next one about another player character. If one of the players seem to be isolated and is not taking initiative in the game, try to lure them in by asking question directly to them. How is their character feeling. What does their character want? It’s important to remember that the focus of the game is the player characters. Don’t try to tell a predetermined story to the players. Just present a situation with a problem they need to solve and let the story be born as the game is played and they make decisions. Don’t make the game about a character you like or something else the players have no control over. This is their time to shine. Sooner or later some players will be paralyzed and won’t be ready to make a decision. In a game with endless possibilities like an RPG, this is bound to happen. It’s the Referee’s job to help them in these tough situations. Present them with some options, maybe 2 or 3, but always emphasize they could think of something else too. In time, they won’t need that much help. Children are bursting with creativity and great ideas, take advantage of that. Ask them questions about the adventure, about who are the villains, about where are they. Not only they will help you with ideas you would never have yourself, but they will be more invested in the game because they were part of the creation of it. The Referee will inevitably be a reference on the table for the players. If they are excited for the game, the players will feel this and get excited too. If they acts and make funny voices, the players will do too. Be the example you want to see replicated in the game. You probably have many toys and accessories at home. Kids love to have figures of their favorite characters, they have building blocks, they have swords, hats, toy cars, hats and all sorts of things. Use these in the game if you can. Build a dungeon or maze with the blocks. Use the figures as characters in the story. Grab some crayons and draw a big map on a piece of paper. Use what you can to draw in the players. Make believe violence is not as bad as some people imagine and can even be therapeutic, as children learn how to deal with their limitations, frustrations and desires. Even then, there are levels of violence even in make believe. Normally anything involving description of wounds, blood or anything more graphic is out of the table. When someone or something is hit by am attack, just say it falls down and that should be enough. Kids will sometimes get more graphical than you, but as long as no other player gets uncomfortable with this, there shouldn’t be a problem. Again, they are learning to express themselves and deal with emotions in our world, making make believe games a therapeutic experience. One of the ways for players to gain bonuses for their die rolls is to describe what their characters are doing, and why this would work to resolve the situation. You want them to do that all the time. You want them to be creative and to encourage that you will reward every idea and description with a bonus on the D6 roll. You can even ask questions to clarify their intent or make them describe it in more detail. It’s easy for most of adults to just sit at a table and play a game, but for kids it is not that simple. They practically live the adventure together with their characters. Thus, a game could start in one room (maybe the children’s bedroom) and as they journey through the game world, they travel through the house too. Maybe the mountain where the old sage lives is the sofa on the living room, the tower where the treasure is hidden is the cat climber, and the grampa’s chair is the king’s throne. Turn the place you’re playing at in a world of imagination. Everyone has limits, and so does children. If they don’t want the game to be about something specific, avoid that. If they don’t want to play anymore, let them just stop and do something else. If they can’t play in game with spiders because they are too afraid of them, substitute spiders for something else. Additionally, when playing with other parents’ children, make sure to talk to them and get explicit consent to include them in the game. Avoid physical contact with the kids if possible, and make sure all the kids respect each other too. Finally, this is a game of heroes and do gooders. As we grow older we learn to appreciate the more grey morality of reality and adult stories, but children usually have a more clear cut contrast with good and bad. Their characters should be the good guys, helping other people, saving them from the machinations of bad guys and such things. If necessary, try to make them remember that. Teach empathy and how helping others make them feel happy and make us feel fulfilled too. 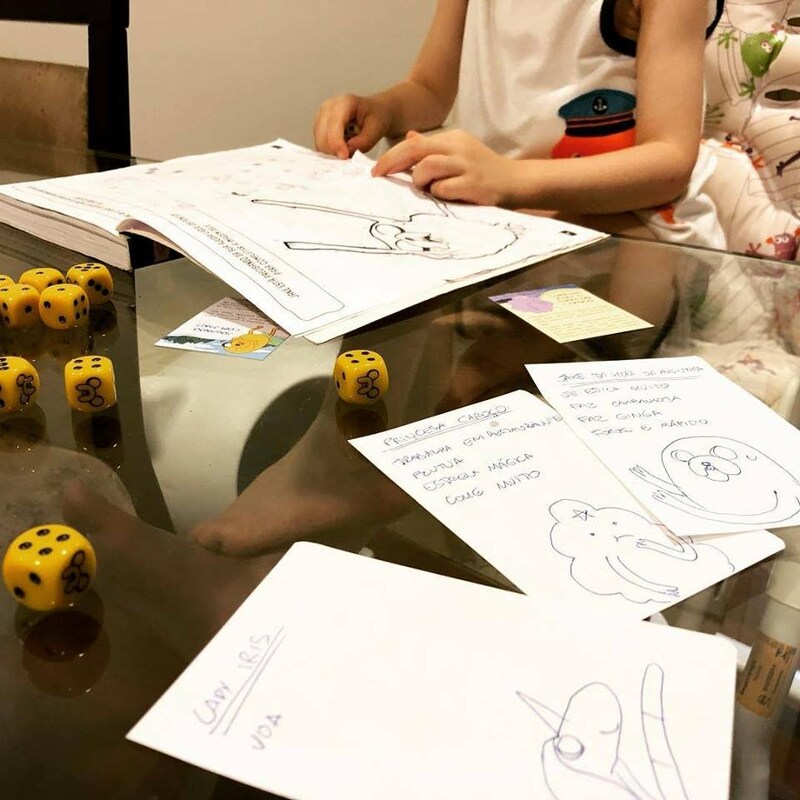 This game initially assumes adults and older siblings will be running the game for kids, but it is also designed to let the kids create their own adventures and run games for their friends too. This will probably take some time, but after playing with an older Referee for a while, some kids will naturally want to assume that role themselves. In the beginning, it might be a good idea to do that together with an adult or sibling who has run the game before. It might be a great idea to have adults playing under a child Referee also. This will help kids build confidence and they can help if the child asks for any help. With time and practice they will run games all by themselves for their friends, parents, siblings and anyone who want to have an adventure! The game system is also simple and flexible to allow kids to create their own characters, monsters, worlds and even invent their own rules. It’s great fun to create things and they will be able to do this with Adventures in the World of Imagination fairly easily.